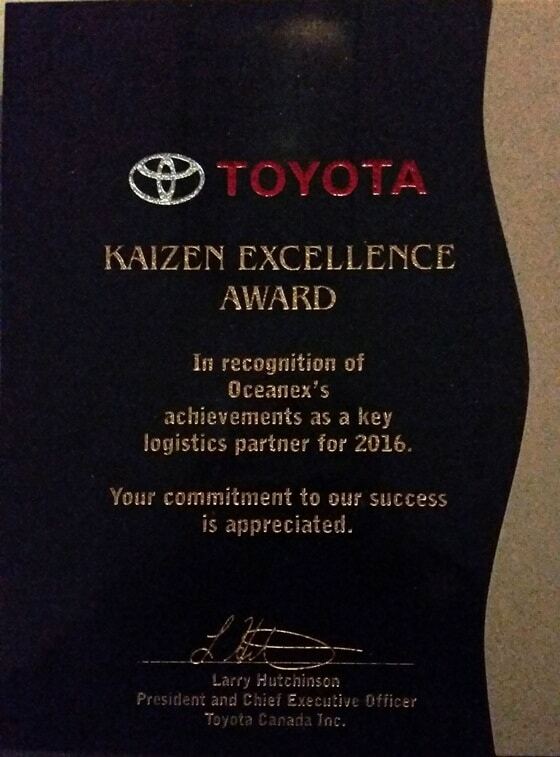 It is with great pride that Oceanex receives, for the second year in a row, the Kaizen Excellence Award from Toyota Canada, in recognition of our achievements as a key logistics partner for 2016. Toyota measures several factors including on-time service, customer service and value added. The logistics team at Toyota Canada and all Senior Management at Oceanex, wish to extend their gratitude to all employees who have helped achieve this honour.